Taken from Association of Alberta Sexual Assault Services (AASAS). 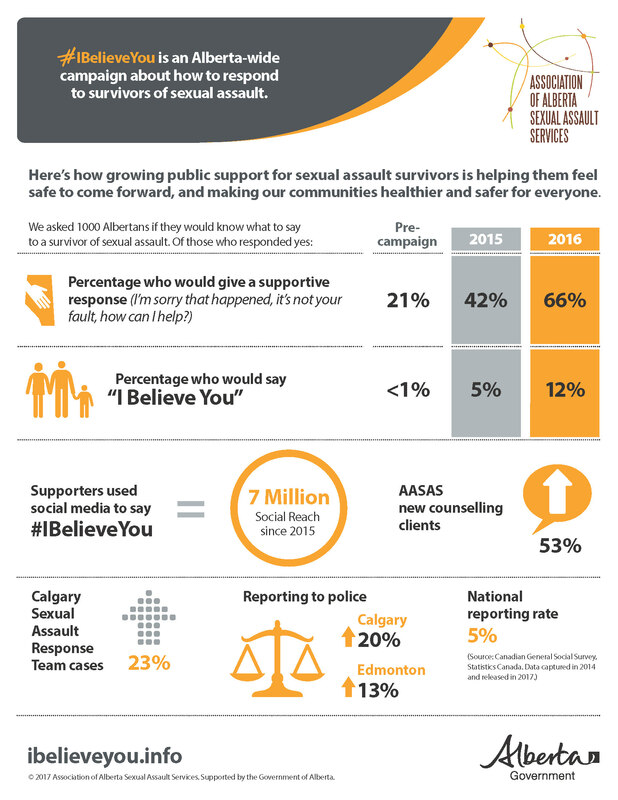 Albertans are having a tangible impact on the health and safety of our province by committing to one simple idea: that when a survivor of sexual assault discloses, we start by believing. 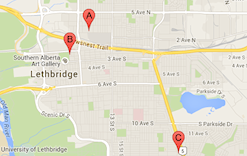 That one simple idea is taking hold in Alberta. Waves of post-secondary institutions, student, business, and community leaders, media personalities, politicians, and everyday Albertans have participated in this campaign that supports survivors with a powerful message of support. This increase in public support for survivors is helping to increase sexual assault reporting significantly, making our communities healthier and safer for everyone. Historically, survivors have been afraid to tell for fear of not being believed. That fear is fading. When we see an increase in reporting, we know we’re doing a better job of helping survivors feel safe to tell. If someone discloses to you, the best response is to start by believing. Believing is something you can show, do, and say. Let them know it’s not their fault. No one asks to be sexually assaulted. Other positive words include I’m sorry that happened, and how can I help. Despite the positive trends in Alberta, the national reporting rate for sexual assault remains at five per cent. So, while we’ve made great gains, but we still have a distance to go. We’re encouraging more Albertans to add their voice to the chorus of support for survivors so that the message is even more commonly understood, and even more, survivors feel safe to tell someone. The campaign has run each fall since 2015. It will run once more in 2018. This year, the goal is to encourage Albertans to add their voice to the chorus of support for sexual assault survivors so that the message can be even more widely understood and embraced – and so that more survivors will feel safe to tell someone. Together, we can make an even bigger impact on the lives of survivors, and make our communities healthier and safer for everyone.